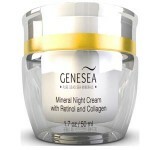 madara regenerating night cream review: Is This Serum The Best Choice? Madara Regenerating Night Cream is marketed as a repairing overnight treatment for those that want to wake up looking and feeling refreshed and well rested. 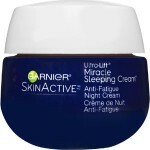 This creamy formula blends seamlessly into the skin to deliver skin-healthy ingredients and anti-oxidants as you sleep. Madara Regenerating Night Cream claims that it can rejuvenate and improve the overall look of your skin while you sleep. Using antioxidants and plant essences, this rich formula penetrates deeply into the skin to deliver skin-healthy ingredients without clogging pores. 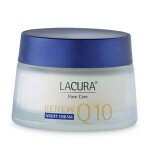 Suitable for all skin types, this product absorbs easily and feels luxurious on the skin. For best results, Madara recommends applying a layer of Regenerating Night Cream to double cleansed skin for optimum results. Massage the product gently into the skin until it’s been fully absorbed. 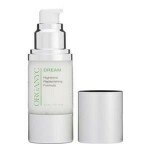 Madara Regenerating Night Cream retails for approximately $36.00 per 1.7 oz. of product on several lesser known skincare retailer sites. Jojoba Seed Oil, Avocado Oil, Shea Butter: These ingredients work together to provide the skin with long-lasting hydration. This product is rich, yet easily absorbent. 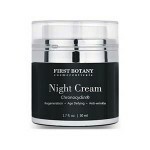 This overnight cream is certified organic, cruelty-free, and vegan friendly. 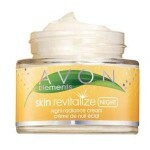 This product contains several ingredients that are proven to deeply hydrate the skin. 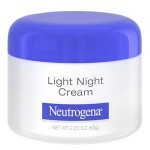 Madara Regenerating Night Cream is not widely available in the United States. There are very few reviews of this product available. This product is not alcohol-free, and may cause irritation. Madara Regenerating Night Cream claims that it can transform your skin as you sleep. Although this sounds like a simple solution that you may want to incorporate into your nightly skincare routine, there are several issues that we’d like to address before you consider purchasing. The second ingredient in this overnight treatment is alcohol. Although this product is packed with vegan-friendly, organic ingredients there are still ingredients present that may cause irritation. This product supposedly works for all skin types, but those with sensitive skin may want to avoid a product that lists alcohol as its second ingredient. Madara products are also relatively unknown in the skincare industry and are difficult to purchase in the United States. There are also very few customer reviews available online, and it’s difficult to tell if any of them are from legitimate third party websites. Customer reviews are always useful, especially if you’re interested in knowing if a certain product works for your skin type. We’d strongly recommend that you consider continuing your search for a rich, overnight cream that only contains skin-healthy, emollient ingredients. Madara Regenerating Night Cream is available on several lesser-known skincare retailer websites. The one website that does sell this product to customers outside of the UK is very cryptic about its return policy. In order to make a return, you must e-mail customer service with your original proof of purchase and reason for return. It does not indicate whether or not you will receive a refund or exchange. 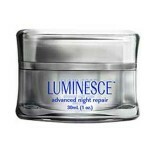 Using a separate night cream to reduce signs of aging is a good idea as these creams tend to be heavier, richer and more effective. 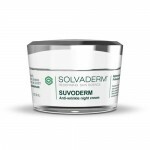 When used as part of a complete anti aging skin care routine, they can work on some of the most stubborn lines and wrinkles and complement the cream or lotion used during the day. However, whatever product is used, consumers should still make sure that it contains beneficial peptides, antioxidants and deeply moisturizing ingredients.